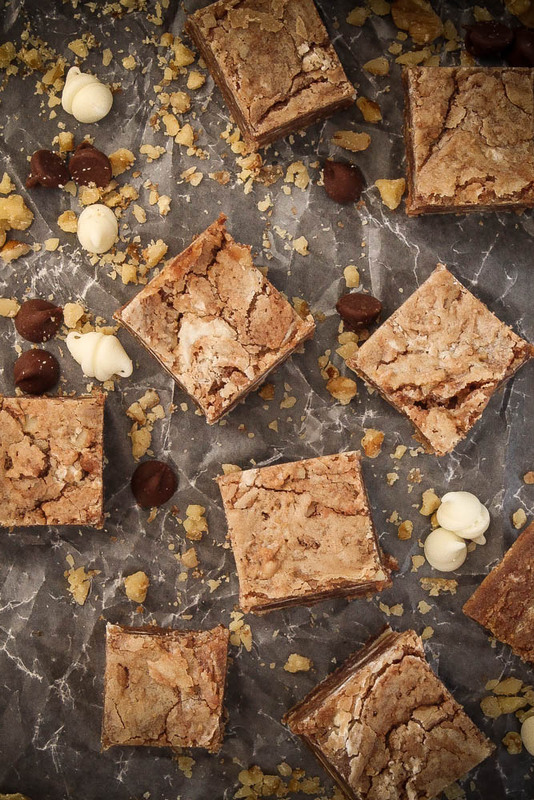 It's officially fall which means yummy comfort food, big over-sized sweaters, pumpkin anything and using these Nancy Drew Blondies for bribing! 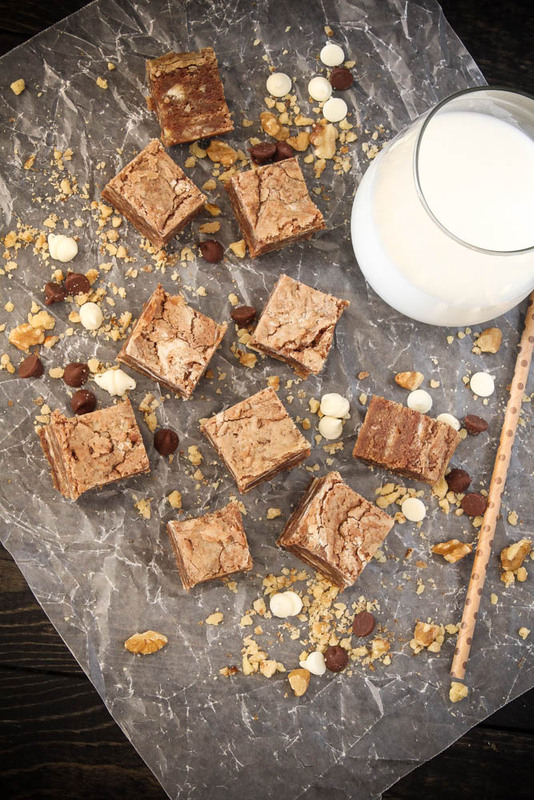 Nancy Drew used these treats as a tool of bribery, though they make great bribes, these are just as perfect for sharing. 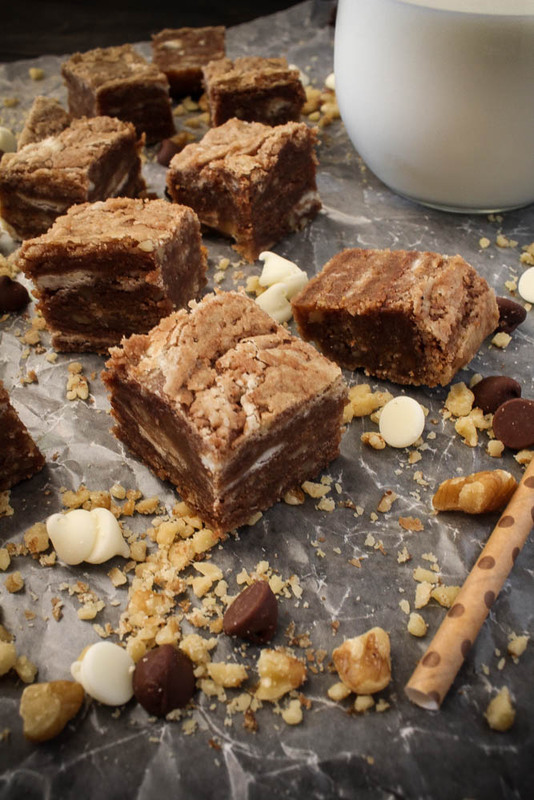 The milk chocolate chips and white chocolate chips mixed into the batter make for an irresistible blondies worthy of sharing and even for bribing! 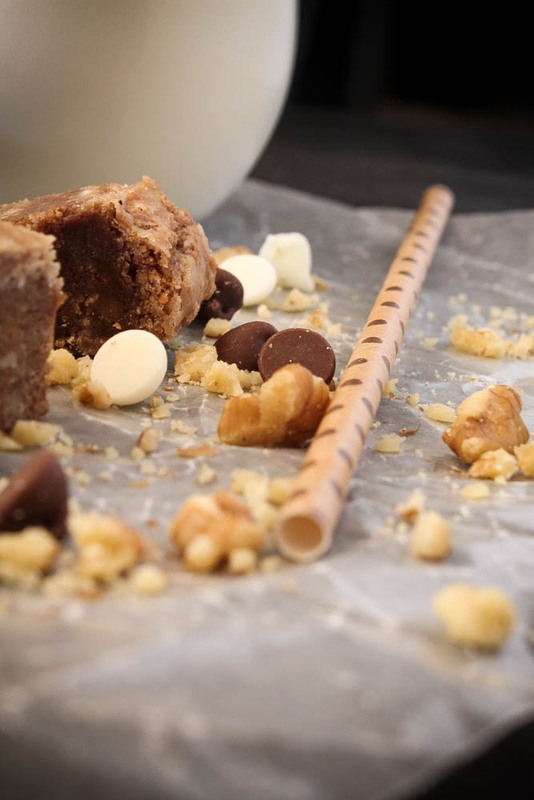 Instead of using chips, chop up chunks of white chocolate and milk chocolate from bars. If you're not into either white or milk chocolate, you can leave them out and increase the amount of walnuts. I'll be pouring myself a huge glass of milk and watching my favorite shows that start this week, another good thing about fall! #TGIT #Sandal anybody else can't get enough ... and not just the t.v. show?!! Position a rack in the upper third of the oven. Preheat the oven to 350 degrees. Line an 8 inch square baking pan with parchment paper, leaving an overhang around each side. In a medium saucepan, melt the butter over low heat. Remove the pan from the heat and with a wooden spoon or sturdy silicone spatula, mix in the brown sugar, vanilla, and salt until smooth and lump free. Quickly stir in the egg until well incorporated. Add the flour, white chocolate chips, milk chocolate chips, and walnuts all at once. Stir the mixture until just incorporated. Spread the batter evenly into the prepared pan. Bake for 25 to 30 minutes, until the mixture is golden, set in the middle, and a toothpick or cake tester plunged into the center comes out clean or with a few crumbs attached. Allow the blondie to cool completely in the pan. Lift the ends of the parchment liner and transfer the blondie block to a cutting board. Cut it into 16, 25, or 36 squares. I prefer more squares, these are quite rich, and they're good for snacks at that size. 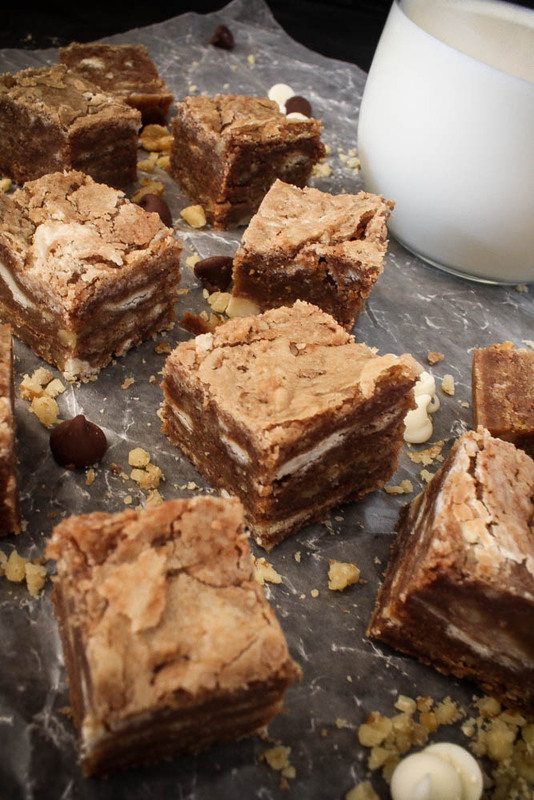 The blondies will keep in an airtight container at room temperature for up to 5 days. * If you are not into walnuts, use pecans or any kind of nut you feel to be appropriate! 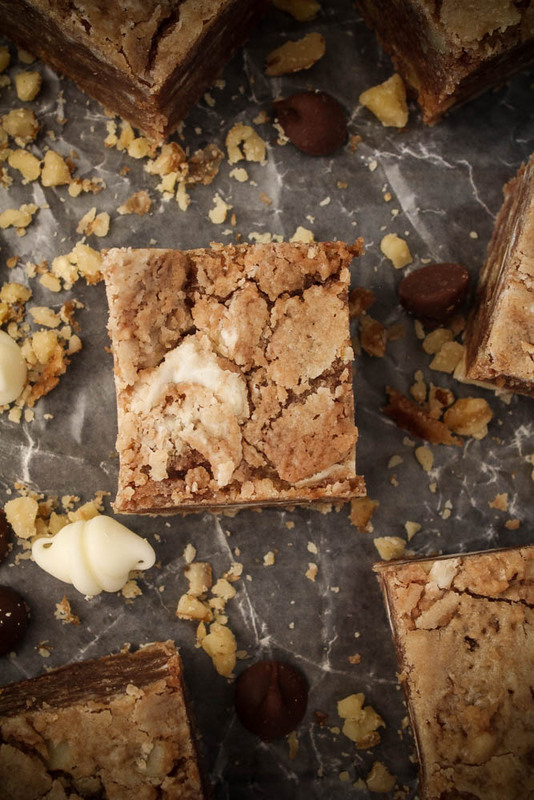 Cheers to the first day of fall and blondies we all love!